So with the summer looming, a colleague and I have decided to take on the challenge of making our own glass! As I have always had an interest in glass and Ben (the colleague) is a ceramicist: we felt we had enough technical know-how to give this a shot! It all started by watching this video, from the tv programme ‘Kevin McCloud’s Man made home’. 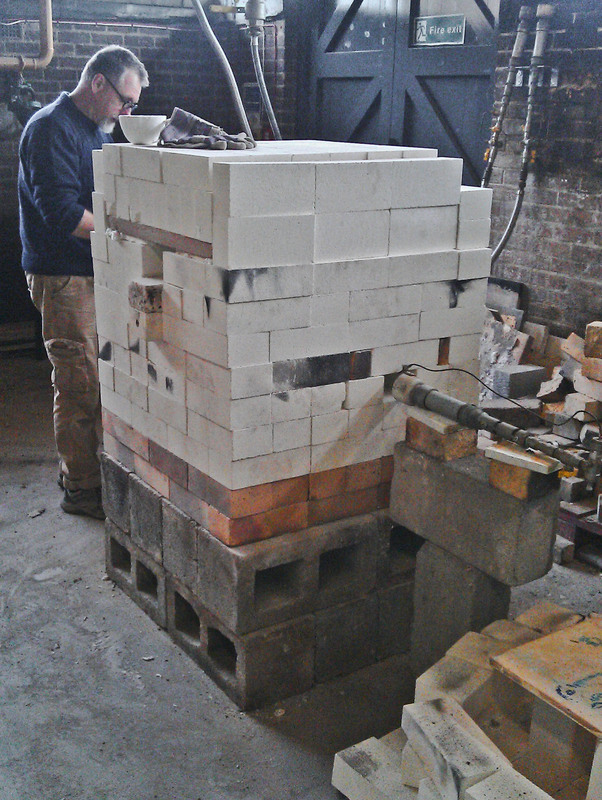 We started by building our own furnace, outside in the ceramic kiln yard at Loughborough University’s School of the Arts. 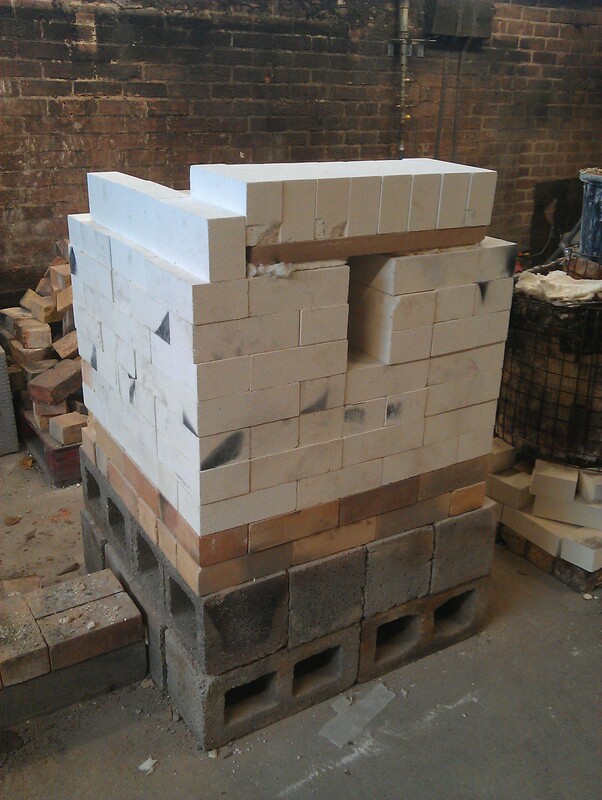 Unlike the ‘Minimelt’ furnace seen in the video, we used HTI Fire bricks (High temperature Insulating) to build ours which, required a lot more space to achieve the same amount of insulation. 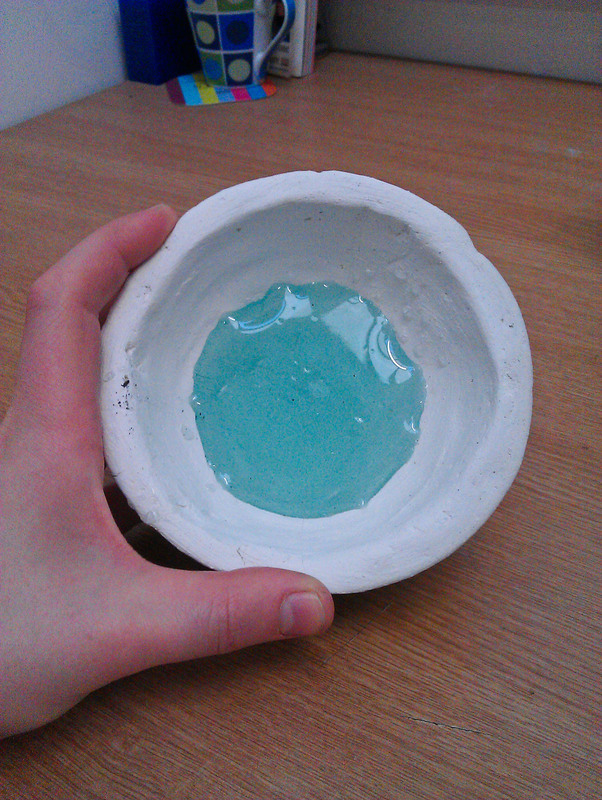 We also constructed a small test crucible, made out of Alumina and China Clay and fired it to a top temperature. 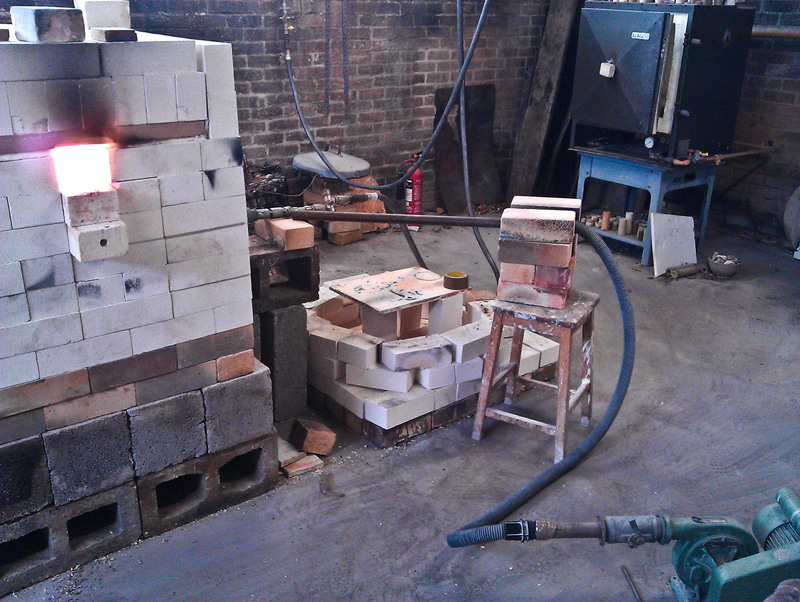 The crucible was then filled with some recycled glass and we fired up the furnace for the first time! 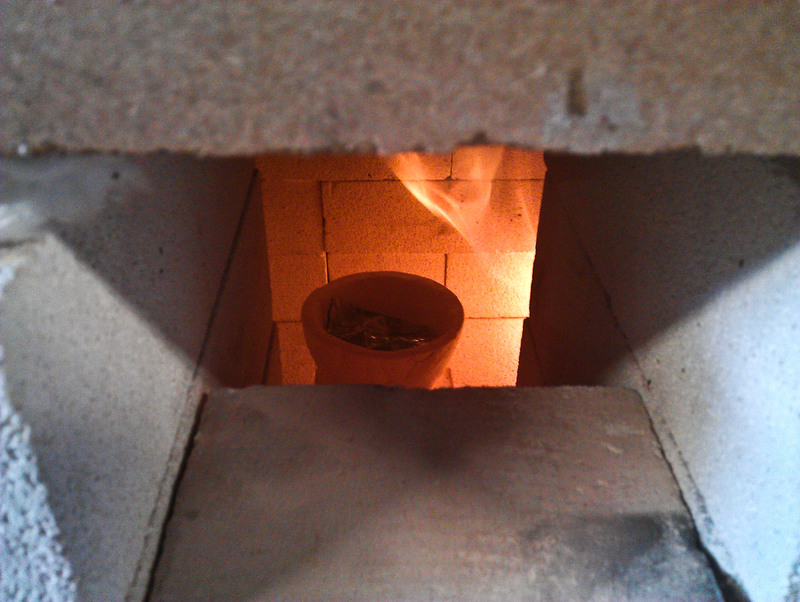 The results of the first firing were really exciting! Not only did we reach temperatures over 1200 C, but we were also able to produce a neutral flame and melt the glass without any thermal shock or discolouration. 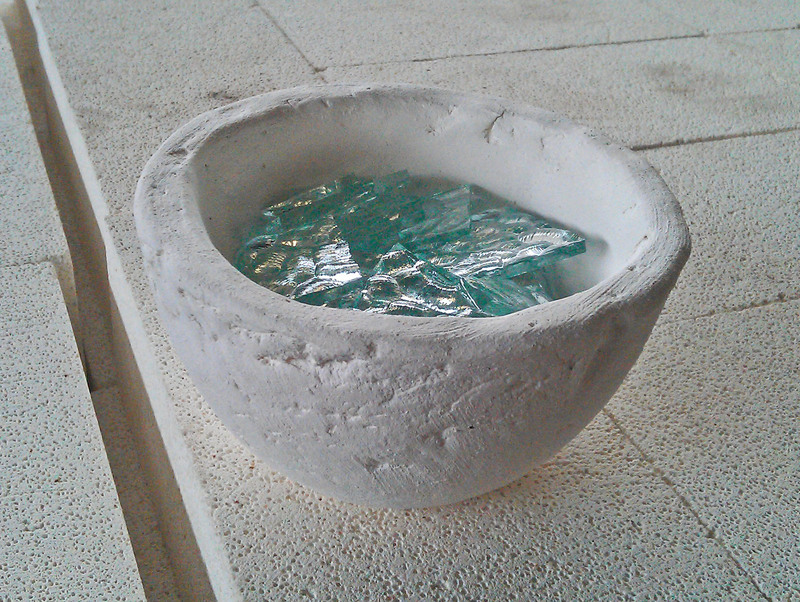 In addition to that, the crucible survived the top temperature (although it did crack once the glass cooled) and we able to gather some glass from the gap in the bricks without making a mess or dropping in temperature. 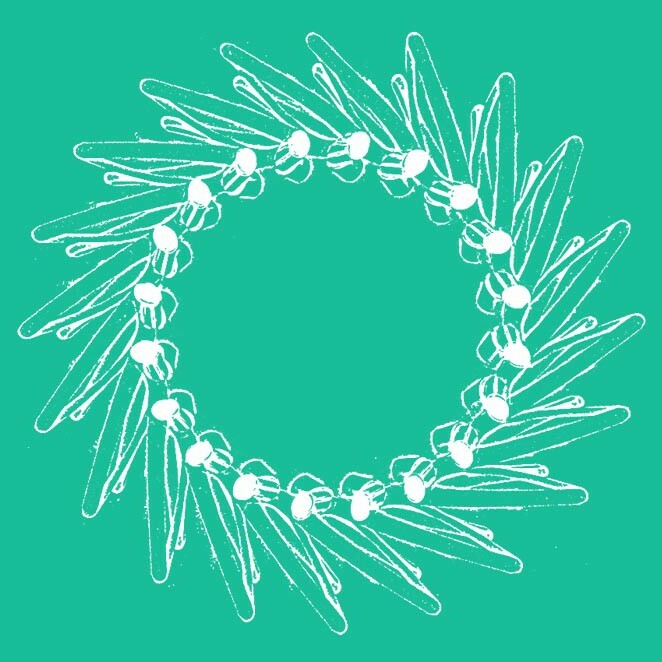 From further research, it appeared that we would need to reach higher temperatures, around 14oo C. So to achieve this, we introduced air alongside the oil and we were pleased to discover that we could increase the temperature and at a faster rate! 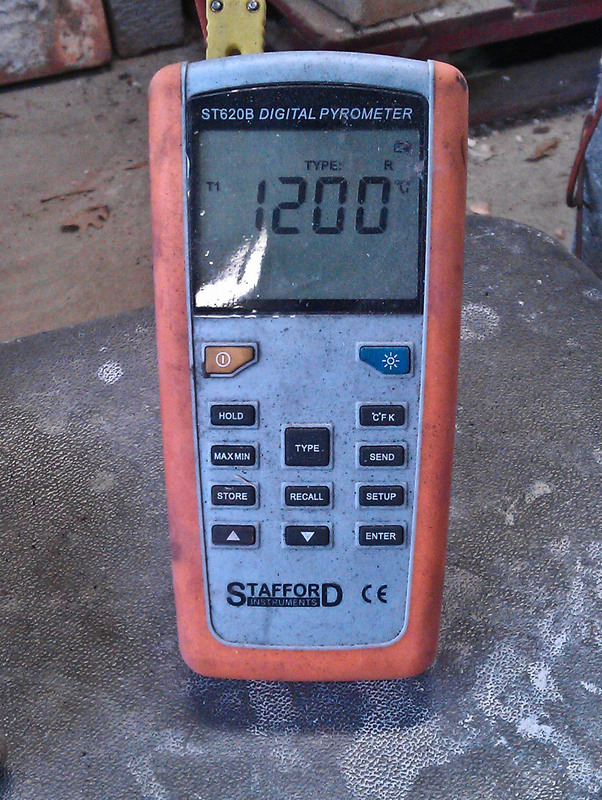 For the next firing, we plan to experiment with a few glass compound mixtures and document the most successful.